With the due assistance of our highly advanced technology, we offer to the esteemed clients Stainless Steel Dustbin. Manufactured using high grade stainless steel, Stainless Steel Dustbin offered by us is high on demand in the national and international markets. Customers are eased with the availability of the same at most reasonable prices and within the specific time-frame. Our clients can avail from us high quality Stainless Steel perforated waste bin in capsular shape. They offer beauty to your place and offer a fresh new look at any space be it malls, hospitals, homes, offices, washrooms etc. Our products can be customize as per the client specification at competitive prices. Backed by experts and experienced professionals, we are involved in offering Stainless Steel Dustbin. 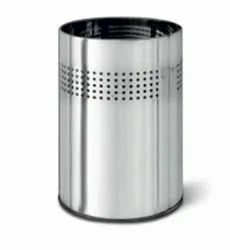 We manufacture a Stainless Steel Perforated Dustbin of different types and sizes. These dustbins can be used anywhere like schools, colleges, stations etcetera, that’s why these dustbins are highly demanded by our customers. We offer these dustbins at very nominal rates. 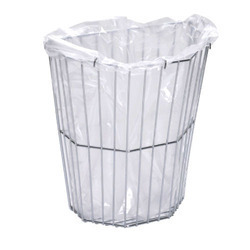 We have carved a niche amongst the most trusted names in this business, engaged in offering comprehensive range of Stainless Steel Waste Basket.